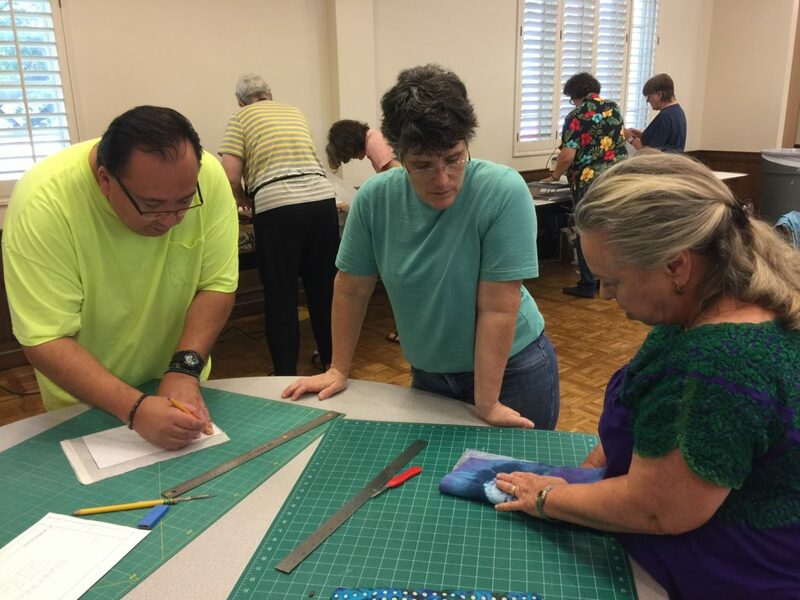 Photos from Beth Morton’s Saturday Special “Gotcha Covered”. 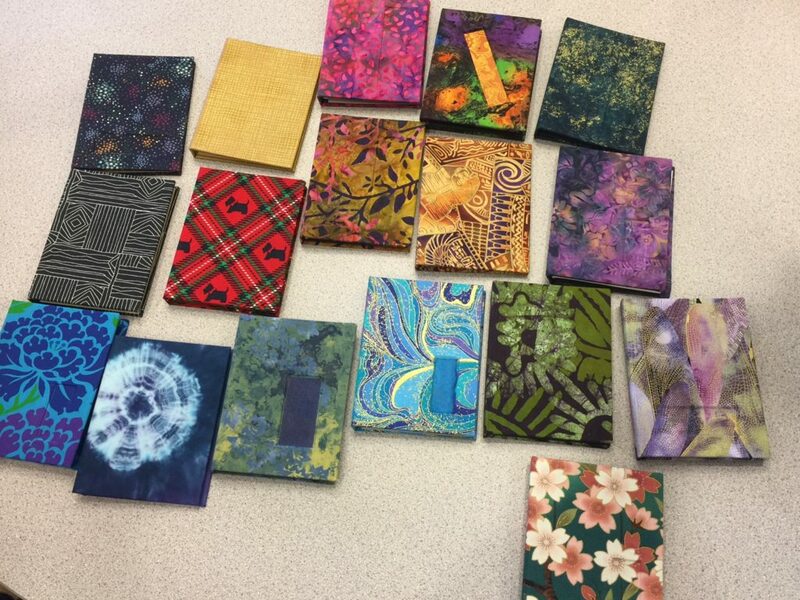 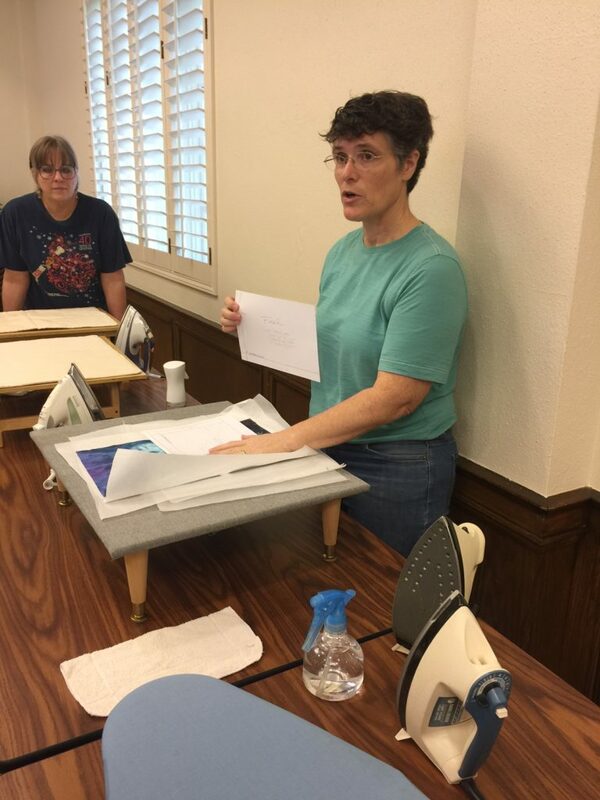 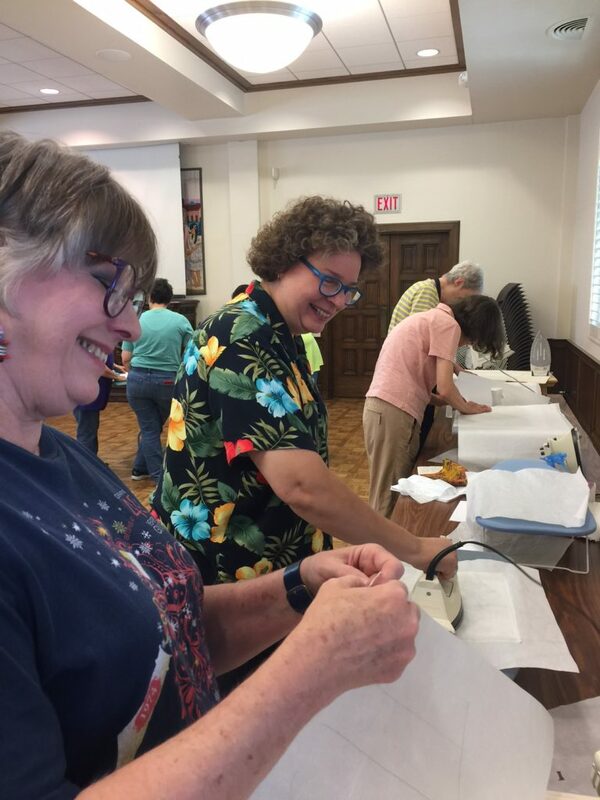 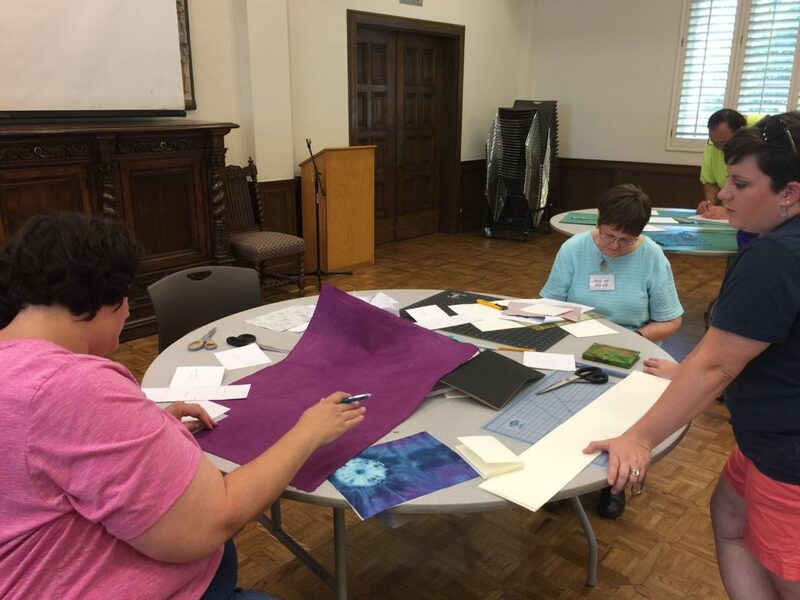 Beth showed guild members how to make book cloth out of fabric. 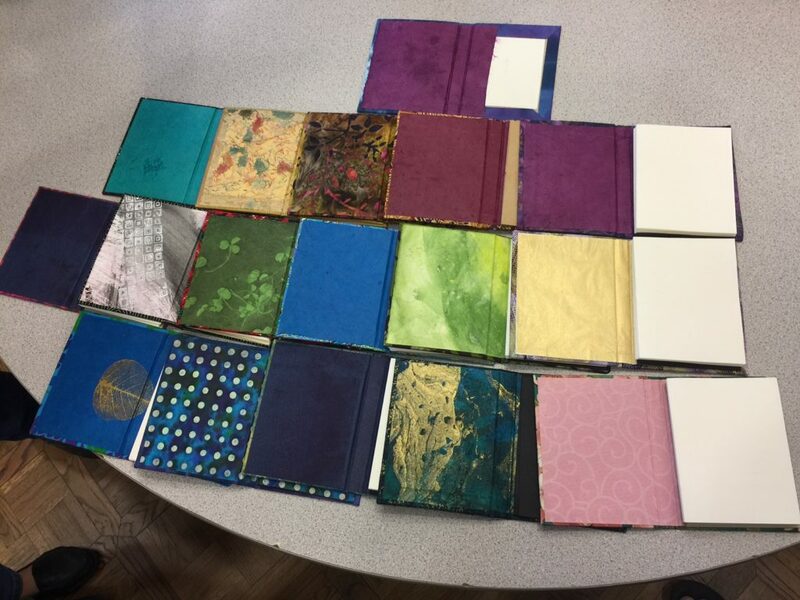 Everyone went home that afternoon with a portfolio book coved in the cloth they made that morning!